The Patriot All-America Invitational features the best collegiate amateur golfers from the USA and around the world. Tournament play takes place from December 29-31 at the Wigwam Golf Resort in Litchfield Park. The 54-hole amateur event is the first of its kind to combine the talents of 84 nationally recognized players in a holiday bowl-like experience. Admission to watch the tournament is free. (No VIP access with this ticket). You must be 21 years of age to consume alcohol and/or enter VIP tents. VIP tents require special VIP tickets. The Patriot All-America Invitational features the best collegiate amateur golfers from the USA and around the world. Tournament play takes place from December 29-31 at the Wigwam Golf Resort in Litchfield Park. 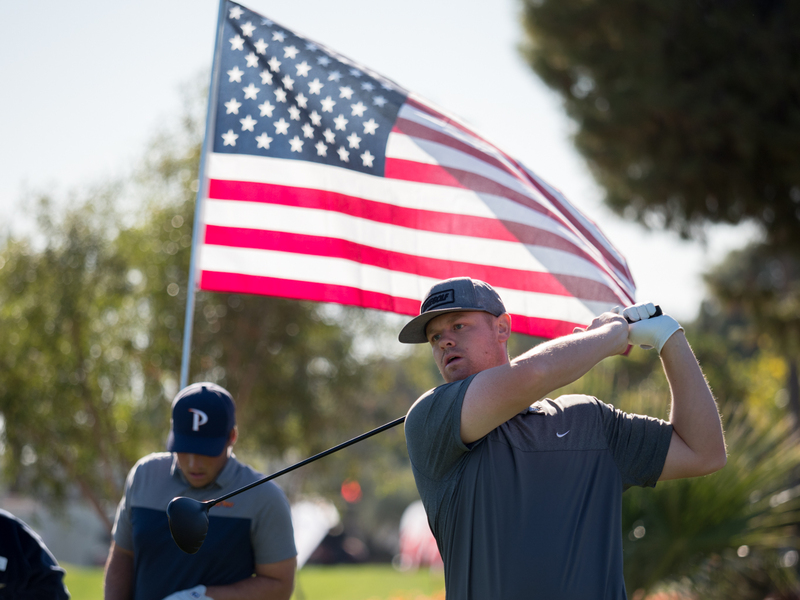 The 54-hole amateur event is the first of its kind to combine the talents of 84 nationally recognized players in a holiday bowl-like experience. Grab a front row seat to all the 2018 Patriot All-America action with a VIP pass. For just $100, VIP visitors get a seat at the opening ceremonies on Dec. 28, three days of tournament action, a 360-degree view of tee boxes and greens from the 16th hole skybox, and access to the Mavericks Corral. The Mavericks Corral is the ideal perch from which to cheer on the best of the best—with all-inclusive food and beverages—while contributing to West Valley charities. The West Valley Mavericks Foundation was born of the imagination and vision of a group of community leaders late in 2012. The West Valley Mavericks (or just ‘Mavericks’) is a social club led by gentlemen who believe that the West Valley is an incredible place to live, work, play and support. The Mavericks’ charter is to advance charity, culture, community and commerce in the west valley of Phoenix. The group’s membership hails from a diverse set of trades and professions, and includes all manner of backgrounds and philosophies.